“The truth is rarely pure and never simple”, replies Algernon in the play The Importance of Being Earnest, after his friend Jack explains that he has made up a fictional brother, Ernest, as an excuse to go have fun in London. That statement is as true in a romantic comedy as it is in real life politics. Donald Trump and his two press secretaries, Sean Spicer and Sarah Huckabee Sanders, have all been known for their economical relationship with the truth. It is thus with particular interest that many treated a speech by Barack Obama’s former press secretary, Josh Earnest, at the Berkeley Forum. Earnest was a polished speaker (as expected of a former press secretary) and made a number of interesting points. As I did with state treasurer John Chiang’s speech, I’ve decided to write about three main takeaways from Earnest’s speech, along with some of my thoughts. 1. What is the role of the press secretary? I suspect that a lot of people were at the talk in the hopes to listen to one former press secretary (Earnest) go on a diatribe about another former press secretary (Spicer). Those that did will be a little disappointed; Earnest never mentioned Spicer by name. Earnest did, however, discuss the role of the press secretary and the differences between his job as President Obama’s press secretary and the current secretary’s role serving President Trump. This much is obvious, but never has the gulf between the responsibility of the same job under two presidents been so different as between Obama and Trump. We all remember Spicer’s biggest hits; claiming that Trump’s inauguration crowd was the largest in history is probably the most memorable. 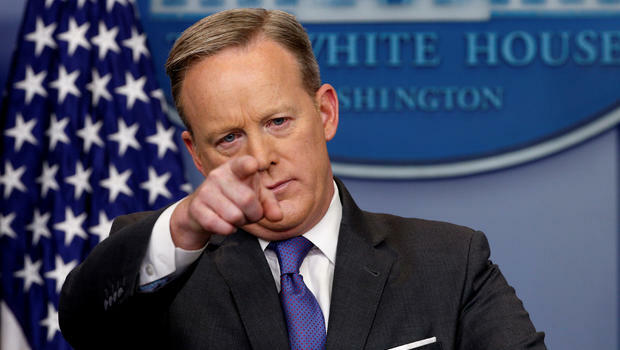 Earnest heavily emphasised two responsibilities for a press secretary: firstly, to communicate the president’s message, and secondly, to tell the truth. Under Trump, these two responsibilities have most often become competing needs (unless serving the public alternative facts is your kind of thing). Earnest said that he had never felt like President Obama ever asked him to lie; of course, he could not say the same for Sanders and Trump. He concluded that the rot starts at the top: Obama set a dignified example that was emulated through the White House, which Trump has not done. While I would not say that the Obama administration were never misleading (see: ‘If you like your health care plan, you can keep it‘), it is difficult not to broadly agree that Obama and Earnest were on the whole much more truthful than the brazenly dishonest Trump administration. The effect is that Trump and all his representatives have been thoroughly discredited. Spicer discredited himself on Day 1 with his claim about Trump’s inaugural crowd size, and Sanders is certainly not doing much better. The Communications Office at the White House needs to realise that they have a duty beyond simply serving the president; they are doing the entire country a disservice by knowingly lying through their teeth. It’s so important that the press secretary is earnest in his or her desire to both push the president’s agenda forward while also performing honestly, and if both cannot be done simultaneously, they must resign. 2. What should the relationship between the media and the government be? Earnest also spent a significant amount of time reflecting on what he calls the “food fight” between the media and the government. This has been most visible in the Trump era, as the president routinely derides his perceived media detractors as ‘fake news’ and has ramped up the adversarial relationship between the White House and the White House press corps. Earnest made clear that the relationship is supposed to be adversarial; after all, it is the media’s job as the Fourth Estate to act as the public watchdog (you can read more about that here!) Earnest also pointed out, however, that there was no point in the White House intentionally attempting to win a fight against the media, because, in his own words, “there’s no way you can win…the reporters write the stories, and they’ll never write that the press secretary made us realise we’re all wrong.” Instead, Earnest’s strategy in engaging the press corps was to try to manage the relationship between the White House and the press and to mitigate disagreements between the two. This strategy, Earnest said, was not foolproof; it still led to a number of frustrations as the Obama administration felt they were not credited enough even for trying to promote a collaborative atmosphere and taking the right steps. But when asked about Trump’s approach, Earnest dismissed the question and said Trump was not using a logical or rational strategy to approach the press. What Earnest should have also discussed, however, was the elevated role the media needs to play in the next four years. The truth is already rarely pure and never simple, but Trump seems keen to take it, smash it on the ground and present it completely deformed. So what can the media do in this seemingly ‘post-truth’ world? It must take its role as a watchdog even more seriously: by continuously fact-checking official statements and challenging them. Objectivity is not an issue when the government lies; the media needs to be constant in calling out these lies. A spade must be called a spade; a lie, no matter how frequently made, must be called a lie. In addition, the media needs to be more careful in ensuring that it does not normalise Trump and his impulsive dishonesty. 3. What is the way forward for the Democratic Party after 2016? Earnest dedicated a large portion of his speech to discussing the current state of political affairs in America. As we all know, it’s in a sorry state, and Earnest, in typical Democratic fashion, lays the blame on Republicans, who he perceives to have created the current political climate by stonewalling Obama’s agenda and leaving no room for collaboration. The vulnerabilities in the political ecosystem ended up being exploited by Donald Trump, who is a symptom of the ills plaguing American politics. It’s easy, of course, to lay all the blame of America’s dysfunctions on the Republicans (and it is also a correct diagnosis: much of the blame can be laid on the GOP). But what is the path for the Democrats in 2018 and 2020? Earnest says that the Democrats must become the ‘party of ideas’- but I don’t think that ideas is the issue here. The Republicans have an intellectual vacuum. But the Democrats has ideas: plenty of them. In fact, it has so many ideas that it can’t choose which ones to adopt, whether it be a single payer healthcare system, raising the minimum wage and so on. These battles can be left for the Democrats to resolve. What I do think is the issue is the Democrats’ messaging. Let’s look at some recent examples. 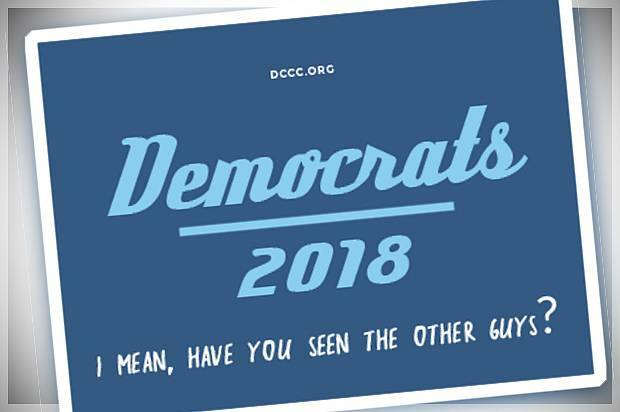 One of the posters the Democrats put out was “The Democrats: I mean, have you seen the other guys?” THat is neither inspiring nor is it actually funny. Another slogan recently unveiled was “A Better Deal: Better Jobs, Better Wages, Better Future.” It’s stunning that a party so full of ideas can manage to conduct such a bland public relations strategy. And all of this comes after Hillary Clinton and her uninspired ‘Stronger Together’ campaign lost the election against the most unpopular candidate in US history. If the Democrats want to win elections, they need to focus not only on becoming the party of ideas, but also the party of messaging. It’s important to be earnest. But, as Earnest missed out, that isn’t enough. And the longer the Democrats take to sort out this out, the longer the country will be stuck with Donald Trump and the Republicans.